An icon in the dance industry has passed on and I wanted to forward everyone the link to help support his Legacy. Jojo Smith's career spanned over 6 decades, including many Broadway credits including West Side Story, Something More, Joyful Noise, and more. ​He made a huge impact on the dance community and all funds being raised will be used to research and document his legacy. Below is the link. Thank you guys for all of your support. Our father JoJo Smith passed away recently, and there is so much about his amazing life and career that we still don't even know. There are so many great stories that have been revealed periodically and casually, but to properly honor his life and legacy, we are dedicated to the research and creation of a written and audio and/or visual documentation of his life story. ​From what we do know, he had a major impact on American dance and overall society, and too often these stories are left untold. Unfortunately the two strokes he suffered cut short our own efforts in this respect. 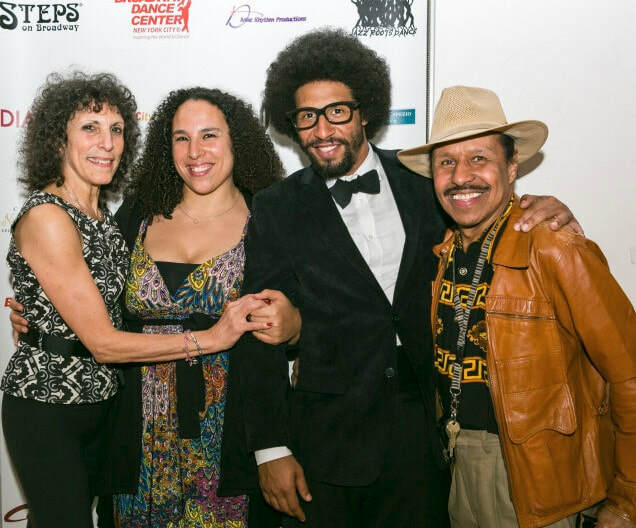 As his children, we are determined to learn more about his legacy and to be able to document and preserve the history of his impact on Jazz Dance, Salsa Dance, Fashion, Music and Life in general as a major influencer on both American and Global History over the years. We plan on using 100% funds raised to help pay for the entire process, including research, interviewing, writing, videography, editing and any related costs we are unaware of at this time. We are also planning a celebration of his life in the coming months and may use a small portion of funds raised towards these costs as well. We know we will likely need much more than our requested goal to accomplish all of this properly, but we are hoping to at least get this project up and running with these seed funds as soon as possible. We also welcome other partnerships, resources, and/or contributions of information that may assist with these overall efforts. We are incredibly appreciative for your consideration and assistance in this effort! Your help would mean the world to us and would also be a great asset to the documentation of Dance & African American history. 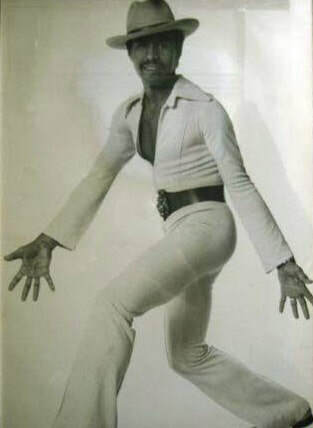 JoJo Smith (July 20 1938-January 22, 2019), once known as “The King of New York” for his extensive contributions to the dance industry, has transitioned today after succumbing to complications from a major stroke late last year. With a career that spans over six decades, Smith’s credits include at least eight Broadway shows (West Side Story, Something More, Joyful Noise, No Strings, Your Own Thing, Gotta Go Disco, Hallelujah Baby, The 5th Dimension with JoJo’s Dance Factory) as well as major television shows, feature films and touring throughout the USA, Australia, Brazil, Japan and Europe. He was a trendsetter and socialite with famous students that included (cousin) Debbie Allen, John Travolta, Barbara Streisand, Brooke Sheilds, Sylvie Vartan, Barbara Walters, Diane Von Furstenburg, Karen Lynn Gorney, Joey Heatherton, Joe Namath and Melba Moore. 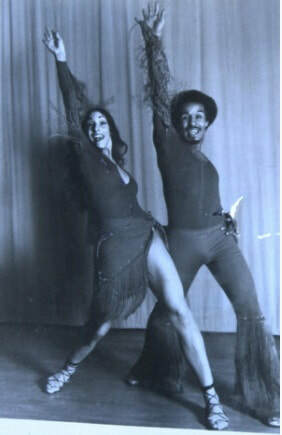 Smith founded JoJo’s Dance Factory along with Sue Samuels, one of the first major Dance Studios in NYC with multiple instructors in each style under one roof. This legacy continues through the studio which was briefly named “Hines, Hines & Hatchett” and is currently known as Broadway Dance Center. ​Smith’s unique style as a dancer and choreographer have influenced generations of dance to this day, and his natural incorporation of instrumentation flourished under the influence of his initial training under the critically-acclaimed Katherine Dunham as part of her company. His choreography is preserved in part through reconstruction and re-imagination of his original works as Jazz Roots Dance company repertory under Samuels' Artistic Direction. As a musician, his studies began with greats including Babatunde and he has been teaching and performing latin percussion as part of bands and dance companies for the majority of his lifetime. Several of his final live performances were alongside one of his sons, Emmy Award winning tap dancer Jason Samuels Smith. JoJo also recorded several albums including his Jazz Dance Today and JoJo's Dance Factory - Jazz Dance Instruction among others. In addition to his music and dance career, he was also an avid Basketball player who was once pursued to join the Australian National team, and he was also a father. Smith’s children in order of age: Christopher Smith (deceased), Michael Smith, Monica Richaid Smith, Elka Samuels Smith, Jason Samuels Smith, and Rocky Smith. through performance, education and workshops. 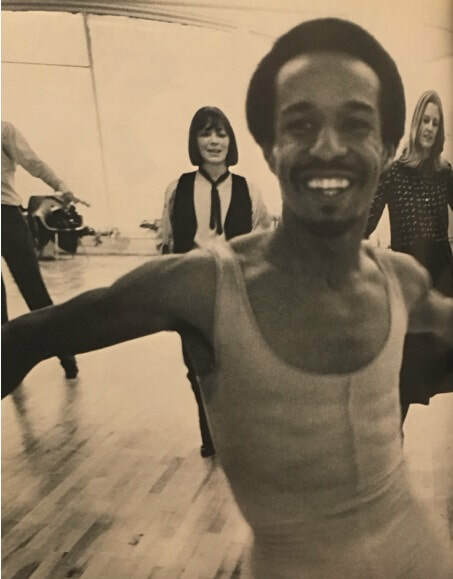 Sue's jazz training was primarily with Jo Jo Smith who was a booming Jazz Master on the New York dance scene in the 1960's. Others such as Luigi, Matt Mattox, Phil Black, Nat Horne and Jaime Rogers made New York City the place to go to study jazz dance, a new style of movement at that time. Jo Jo's style was percussive, strong and rhythmic with clean lines. I was immediately attracted to his style and was able to do it well with all the Ballet training under my belt. I started Jazz Roots Dance Company. We immediately set "Papa Was a Rolling Stone" which has become one of our iconic pieces which is set in Jo Jo's style. Later, we set Ellie's Love Theme and the Theme from Shaft which is Jo Jo's original choreography from the early 1970's. We (Elka, Jason and I) are hoping to form a Legacy Foundation which will document Jo Jo's dance class including his jazz barre warm up, isolations and his original combinations given in his class. We are raising funds on a gofundme page. There is more of Jo Jo's original choreography I want to reconstruct on Jazz Roots Dance Company.